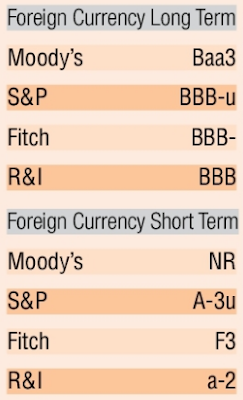 S and P Global Ratings has ruled out an upgrade for India over the next two years even as it affirmed the stable outlook on the country's `BBB-' long-term and `A-3' short-term sovereign credit ratings. The finance ministry, which has been making a case for an upgrade to the ratings agency citing India's improved fundamentals, expressed unhappiness at the decision. There is a disconnect between what the investors are saying and what the ratings are saying. 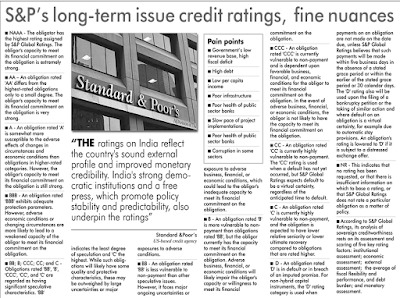 Ratings agency recognise the progress made by India, but the country's weak fiscal position and debt profile are seen as the biggest constraint on an upgrade. S and P said a case for ratings upgrade could be made “if the government's reforms markedly improve its general government fiscal outturns and, with them, the level of net general government debt so that it falls below 60% of GDP.“ The ratings agency see India's growth picking up modestly to 7.9% in 2016 and 8% on average over 2016-2018. It expects the RBI to achieve the inflation target of 5% by March 2017. 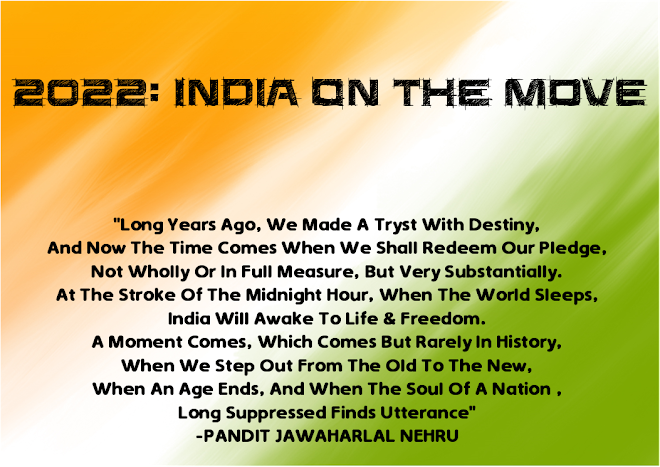 S and P notes that India has made progress in passing laws to address long-standing impediments to the country's growth, mentioning the goods and services tax (GST) that will replace complex and distortive indirect taxes. Other reforms noted by S and P include strengthening the business climate through simpler regulations and improved contract enforcement and trade, boost to labour market flexibility, and reforms of the energy sector. S and P said India's external position is a source of strength for credit rating, mentioning that country has only limited reliance on external savings to fund its growth. It expects a moderate current account deficit of 1.4% in 2016 (2.1% in 2015) that it expects can be funded mostly with inflows without adding to debt. India's low GDP per capita, pegged at $1,700 in 2016, is seen as one of the two major constraints to an upgrade, other being the weak fiscal profile. The government has little ability to undertake countercyclical fiscal policy given its current debt burden to boost growth and per capita income. “India's high fiscal deficits have led to the accumulation of sizable general government borrowings (about 69% of GDP, net of liquid assets) and debt servicing costs (over a quarter of general government revenue),“ Sand P said penciling in only a modest decline in net general government debt over the next few years. S and P estimates estimate public-sector banks need capital infusion of about $45 billion (2% of GDP) by 2019 against government commitment of $11 billion.